In our look at the yamas and niyamas, the second yama or moral ‘restraint’ is satya, or truth. This might simply be acknowledging our limitations in a particular pose, and not going beyond them (whilst bearing in mind the principle of ahimsa or non-harming). However, we can use this ethical principle to find a more real, authentic and honest self on our yoga mats. The purpose of yoga is to still the fluctuations of the mind, and once we have done this, we are more able to see the true nature of reality, to see things as they really are. This means being aware of our preferences, our ‘shoulds’ and judgements. If we notice a ‘should’ arise during the practice, simply noticing that, and being curious as to what is behind that. This is not an opportunity to berate ourselves or others, but just to notice our responses. We can use the practice of yoga postures to get a good look at ourselves – not our physical body, but our habits and states of mind. We can observe the truth in our practice by observing the breath. Is the breath strained and shallow, or is it spacious and relaxed? This tells us when we are working with ‘steadiness and ease’ (sthira and sukha), or whether we have gone beyond it in to the realm of harming ourselves. Can we find our edge in a physical posture, can we be honest with ourselves? We can also use kali mudra in the practice. Named after the fierce goddess Durga, this hand posture represents the empowerment that enables us to stand in our truth. The outstretched index fingers represent Durga’s sword which cuts through delusion. The Yoga Sutras of Patanjali outline the eight limbs of yoga, of which asana (physical posture) is just one limb or path. The first limb is the yamas or moral ‘restraints’, which are more like ethical precepts which we can follow. The first of the yamas is ahimsa, which means non-harming. As well as the literal interpretation of this as not harming ourselves mentally or physically through our practice of yoga, not pushing ourselves too far in a particular posture, we could flip it around to the more positive interpretation of compassion. Before I do anything else in my yoga practice, I always do a mental check-in – seeing how my physical body feels, and also my mental landscape. Am I excited and full of energy, or am I feeling exhausted and run down? Whatever is there is ok, there is no right or wrong answer to what we find here. To be kinder to ourselves, we need to acknowledge how we are right now, what we are bringing to this practice, without pushing anything away. Holding this in our awareness as we move through the practice can help us practice in a kinder way, both mentally and physically. Yoga teachers often invite students to connect with the heart centre, the inner teacher. By spending a few minutes at the beginning of our yoga practice simply tuning into the heart centre, perhaps finding warmth and spaciousness, we can connect with our inner teacher. Perhaps we might find a glimmer of intuition about a particular situation we are facing, or by connecting with our sankalpa or intention. Perhaps we might find out what we really need in that particular moment. If we are feeling tired and run-down, really tuning into ourselves can help us to see the sort of practice that is needed – it might be that you need a slower practice, with few vinyasas, holding the poses for longer, perhaps fewer standing poses, and a really long savasana. Or it might mean that actually your body needs a more vigorous practice to energise and shift that stagnant energy and release those feel-good endorphins. Only you will know, and you will know by the mental check-in and listening to the heart. The point of yoga is not to push ourselves to extremes, but to nourish ourselves both emotionally and physically, whatever that might look like. We might choose to do a Buddhist compassion meditation at the end of our yoga practice, the metta bhavana. This is a 5-stage meditation where we try to cultivate a sense of compassion and well-wishing to various people in our lives, starting with ourselves, a good friend, a neutral person, someone we are having difficulty with, and then widening it out to all beings. If you’re new to this practice, there are some good guided meditations you can use. Doing this regularly really can transform your relationship with yourself and with other people. The yamas and niyamas form the first two ‘jewels’ of this eight-limbed path to awareness in yoga. The yamas can be thought of as ethical precepts or guidelines that we can follow. The niyamas are more subtle guidelines for observing the self. The first of the yamas is ahimsa or non-harming. This could be taken quite literally, in the form of non-violence, or could be turned around into a more positive form of compassion for ourselves and others. Next is satya or truthfulness. This can mean not lying, being truthful in our communication with others, but also being our authentic selves. The next of the yamas is brahmacarya – traditionally ‘celibacy’ or ‘right use of energy’. This could be interpreted as moderation, whether it be in sexual relationships or in a more broader context, finding stillness, simplicity and contentment – non-excess. Once we are trying to direct our lives towards these yamas or ethical principles of behavour, we can turn the focus more inwards to the five niyamas, the first of which is saucha – cleanliness or purity. As well as keeping our bodies clean, this principle is asking us to purify our attitudes and our actions. Next is santosha or contentment – accepting things as they are in the here and now, rather than grasping the notion that things might be different (I’ll be happy when…). ‘Tapas‘ or self-discipline can also be translated as ‘heat’, and can be thought of as the fire of transformation, a fiery cleansing. Everything in life can be viewed as an opportunity for growth, even if it is painful. The penultimate of the niyamas is svadhyaya, or self-study. Knowing ourselves, being really curious as to why we have this thought or are triggered by that situation. Having this awareness allows us to move beyond those thoughts and triggers, feeling the liberation of letting go. Finally is ishvara pranidhana or surrender – trusting in the process of yoga, surrendering to its greater power. From the comfort of your own home, office or other location, I will travel to you and bring any necessary equipment. Private yoga sessions allow a bespoke class, tailor-made for your requirements, be it areas of weakness, medical condition or injury, or to compliment sports training. It fits in with your lifestyle, cutting out the inconvenience of travelling to a class. Sessions can be booked early morning before work, anytime during the day or after work. A private session is great for beginners, as it allows you to learn the fundamentals of breathing, alignment and yoga terminology, and can give you the confidence to come to a group class. It is also great for experienced students wishing to deepen their practice, or focus on a particular area. Contact me for a chat about your needs or just for more info. 1. the journey lasts a lifetime, so what’s the rush? When I started practising yoga when I was 20 (in 1997), I worked my way through some of the course at the back of Light on Yoga by BKS Iyenger. I had grand aspirations to finish the 300+ week course, although of course I never did. At the outset, I became a little fixated on the end destination, rather than the journey. As with most people when they first come to yoga, it is the physical postures that drew me in. It wasn’t until a good few years into my practice, that I discovered the rest of the yogic path. Meditation for one has been a definite life-saver…I only wished I had discovered it sooner! Yep, you read it right! Savasana, or corpse pose, is where the magic happens. In the yoga philosophy, it’s said that we open the energy channels in the body (the nadis) through the physical postures, the bandhas (locks) and the breath. Lying in savasana for an extended time allows the kundalini shakti (the coiled primal energy) to rise up the channels and leading to awakening. If you run out of class before savasana, you can feel a little out of sorts. Savasana can be the hardest pose in yoga – you try lying still for 10-15 minutes without getting distracted by thoughts about what to have for lunch! Being a sciencey kind of girl, I was very skeptical of the whole notion of chakras in the beginning. Chakras are the wheels of energy ‘located’ at various spaces in the body. Since developing a more chakra-aware practice, and by tuning in to what my body and mind need right now, I can help myself feel more grounded, confident to speak out, energised, etc, just through the practice of yoga. I’m not saying here that you need to throw yourself dangerously into advanced yoga postures. What I am saying is that if it feels scary to open the heart centre in that backbend, perhaps there is work to be done not only on your physical spine, but also in the areas of loving kindness (the heart centre) and speaking your truth (the throat centre). If you are having trouble in those balancing poses, perhaps you need to find ways of bringing more balance into your life. Of course, the yoga itself will help, but one feeds the other. That teacher who told you to breathe into your hip joints wasn’t off their rocker. You really can move prana (vital life-force) around the body through the power of visualisations like this. Plus it also helps you to focus on the physical sensations, which is itself a form of concentration. If I discovered yoga today, as opposed to the less glamorous late-’90s, it would be hard to avoid the Instagram generation of yoga-pants and inversion-crazy photos that have swamped the internet. But there is a difference between mere gymnastics (which is, in itself, physically impressive, I won’t deny) and YOGA [see no.2 above!]. Unusually, perhaps, I started my yoga journey with home practice. I was recovering from an eating disorder, and wanted to do everything in my power to avoid parading around in public in lycra. I did attend classes eventually, of course, and then realised the collective consciousness and energy of a great class, and a great teacher. I genuinely believe that even the most hardened of gym bunnies, if they are open to it and maintain the practice, will eventually begin to question their habits of eating meat, how they live their lives, at whatever level is appropriate to them. I’m not saying that everyone who does a yoga class is going to end up giving up their job in the city to live in an ashram. However, that yoga magic does start to pervade other areas of your life and transform them. All you need to do is be a little bit open to that. After a few years in the Iyengar tradition, I switched to Ashtanga. Both styles can be dogmatic at times (although I love them both!). It was only when I discovered yin yoga and yoga nidra that I realised that ‘yoga’ didn’t have to mean throwing yourself through the primary series for a sweaty hour and a half six days a week. It was ok (and more sustainable!) to balance a more dynamic practice with a softer practice. And sometimes when you are full of energy, a strong practice is what’s needed. But not always – sometimes the challenge is to balance out what we find in the body and mind through the practice. This time of year there is much to be grateful for, I am currently grateful for beach days and sea swimming. As someone that grew up in the land locked home counties, and having only moved to Hove last year, it’s still very new and exciting for me to be so close to the beach – I have definitely been embracing my inner child and been splashing about in the sea! Did you know that our brains are like Velcro for negative experiences and Teflon for positive ones. The remedy for this is to develop an attitude of gratitude. Use the breath to anchor yourself in the present moment. Our minds are always so easily pulled to busyness. Bring particular attention to feeling the breath, or something in the body, as you bring your shoulders down and orient your attention toward gratitude. Next, bring to mind a sight you are grateful for. Move through your senses, and find one thing to start with that you appreciate that comes to you from the world of sight, if you have this available. It could be a color…a shadow…a shape…a movement. Remember, it will never be like this again. What do you see right now, and can you feel grateful that you get to see this, whatever it is? Now, shift to a scent you appreciate. As you continue to work with your senses, now take time to tune in with appreciation to an aroma. What do you notice? What about that glorious or interesting or subtle smell is making you smile? It could be gratitude for something familiar: a scent that brings comfort, upliftment; or maybe it’s something you’ve never smelled before, and it just piques your curiosity, ignites you, enlivens you. Moving on, tune into any sounds around you. Allowing the world of smell to gently recede into the background, on an in-breath, shift your attention to your ears and the world of sound. Maybe notice what it feels like to really listen. How many sounds can you notice, and can you feel grateful that you’re able to experience sound, if you are? What can you notice about these sounds—far away? close? Perhaps you could play a piece of music that brings you joy, and have gratitude that it’s so available? Or maybe it’s the sound of children laughing, the sound of loved ones breathing, the sound of the beating of your own heart. The world of touch and texture beckons us next. We find so much to be grateful for in touch! If there’s someone near who you can hug or who can hug you, notice how this makes you feel filled with gratitude for the joy of human contact. Or perhaps you have a beautiful pet that you can stroke and cuddle, or some lovely material with a texture that feels warm to the touch, soft, evocative. Let your senses ignite your gratitude! There’s so much to be appreciative of. Shift to noticing and appreciating objects around you. Now take a moment to look around: Look down, look up, and from side to side. Appreciate how much effort must have gone into anything at all you own or use. Someone conceived of the need and many people worked on the details of the design. Much care even went into the packaging to deliver your item to you safely. What do you feel when you let yourself be grateful that all that talent went into making your life a little easier? As you end this practice, carry this attitude of gratitude with you. One last little grateful tip: Why not offer your thanks to each person who does anything at all for you today? Even if it is their job to help you? When you’re grateful, when you let your heart open up and be filled with appreciation, notice how being grateful makes you feel. 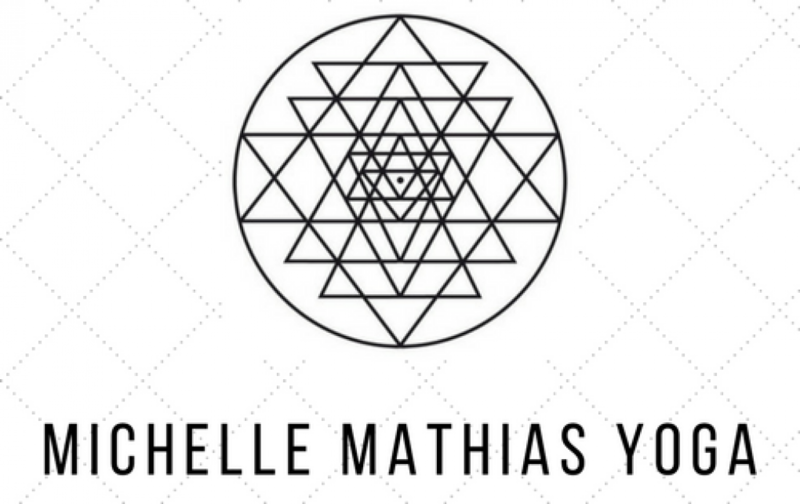 Rachel is a Hove based Meditation Teacher, Spiritual Book Group Facilitator, Holistic Living Blogger and runs the networking group ‘Holistic Network of Hove’.